On this week’s episode of “How IC Sports”, hosts Samantha Cavalli and Nick Friend welcome senior running back Tristan Brown of the football team and J.J.
Tim Locastro, Ithaca College former student, was called up to the MLB Sept. 29 by the Los Angeles Dodgers. 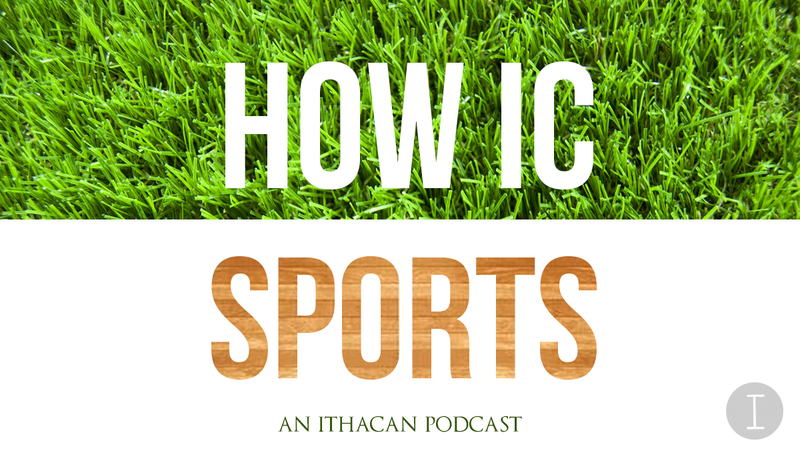 On the debut episode of “How IC Sports,” IC quarterback Adam Fron and senior Ithacan sports writer Matt Hornick talked with hosts Samantha Cavalli and Nick Friend about this week’s top sports topics. Many sports teams have been relocating in order to promote better business and fans are not happy with the decision to relocate their beloved teams. It’s important for baseball to staying ahead of other sports in terms of a global game during a Trump Presidency. During the second day of the Major League Baseball Amateur Draft on Saturday, the Toronto Blue Jays drafted Bombers’ shortstop, rising senior Timothy Locastro, in the 13th round and the 385th pick overall. With finals and paper deadlines looming, columnist Nathan Bickell spreads a last bit of Thanksgiving cheer by handing out his biggest sports turkeys of 2012. Columnist and die-hard Baltimore Orioles fan Nathan Bickell recaps his experiences from Game 1 of the American League Division Series at Camden Yards. Columnist Nathan Bickell breaks down the opposing arguments for Mike Trout and Miguel Cabrera and casts his vote for the 2012 AL MVP.